Famed designer Pablo Ferro offers a window into the high-flying life – and mind – of Thomas Crown (Steve McQueen), a wealthy businessman who enjoys competitive pursuits like polo, chess, car racing, and, of course, engineering daring bank robberies. 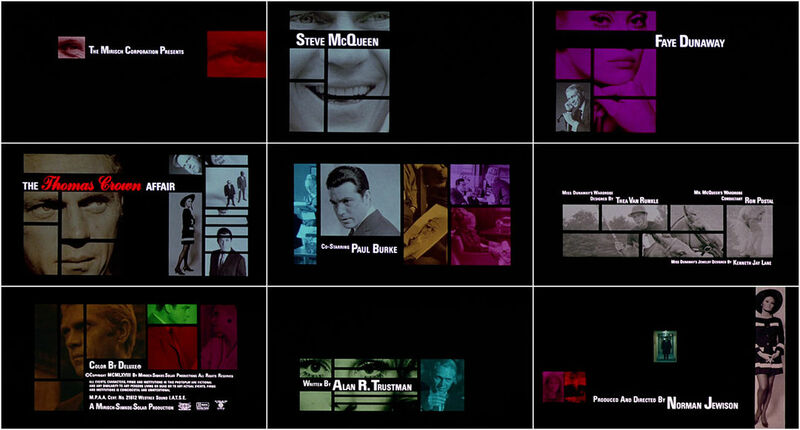 Using the multi-screen technique for which he would become famous, Ferro’s opening titles for The Thomas Crown Affair introduce viewers to the many sides of this story. From Crown’s double life of luxury and larceny, to the men he secretly employs and the woman who pursues him (Faye Dunaway), the titles establish all the players in this high stakes game of cat and mouse. Composer Michel Legrand’s theme “The Windmills of Your Mind,” a gorgeous ballad sung by Noel Harrison (son of Rex), lends the opening an air of melancholy, glamourizing Crown’s life while hinting at his unhappiness. The sequence also prepares the audience for the film’s many split-screen sequences, which Ferro designed and edited as well. Originally brought on by director Norman Jewison to design the film’s logotype, Ferro was eventually hired to create a multi-screen sequence out of a key scene – the polo match – in an effort to reduce the overall runtime of the movie. Ferro’s multiple screens give the already lively equestrian sport a pacing and energy that would have been impossible to achieve with traditional editing techniques. To emphasize certain moments during the game, Ferro moves images across the screen in a way that matches the action or fills the picture with dozens of smaller frames of the same shot, creating an eye-popping checkerboard effect. In his autobiography, Jewison described Ferro’s technique as “a complex process that involved mattes, an animation camera, [and] an optical printer." The director had originally become enamoured with the “multi-dynamic image technique” after a screening of Christopher Chapman’s Oscar-winning short A Place to Stand at Expo ’67 in Montreal. McQueen, who himself had seen Chapman’s short at a screening in Los Angeles, was reportedly “blown away” by the effect. Both the director and his star were eager to include such a sequence in The Thomas Crown Affair. 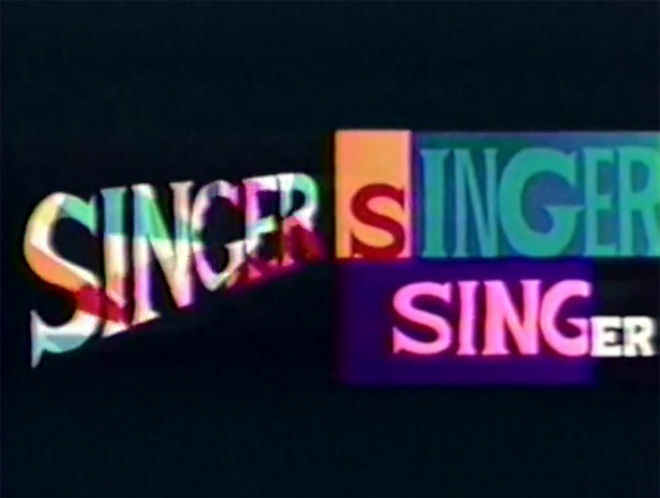 Ferro had used a multi-screen technique similar to Chapman’s in a Singer advertisement created for the 1964 World’s Fair in New York, and just so happened to know Thomas Crown Affair editor Hal Ashby. The two met and became friends while collaborating on Jewison’s 1966 comedy The Russians are Coming the Russians are Coming. 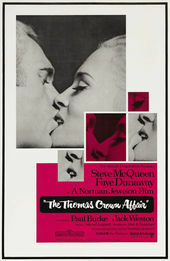 It was Ashby who not only suggested Ferro for The Thomas Crown Affair, but also helped the designer refine his technique. “The film's producers saw the Singer Pavilion at an expo, using multiple screens, and they wanted that,” Ferro recalled. Ferro asked Jewison and Ashby to give him two days and recut the entire polo match sequence. So impressed were Jewison and Ashby by Ferro’s efforts, that one multiple screen sequence soon became another and another and another. The technique was used alternatively to draw attention to small details and to build suspense, revealing the intricacies of Crown’s masterfully staged heists from every possible angle. "In the three to four minutes of multiple image time, audiences had really been exposed to close to 15 minutes of straight-cut film," Jewison said of the sequences. 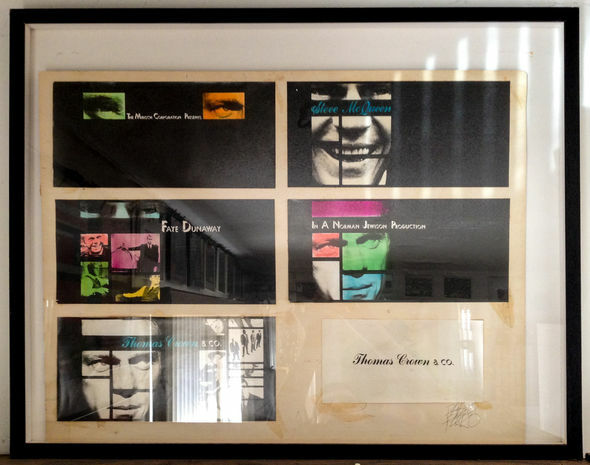 Image set: Pablo Ferro's original concept boards, featuring a variation of the film's working title Thomas Crown & Co. and typography that was only used in the theatrical trailer. In the film’s title sequence, Ferro’s multi-screen technique creates a layout not unlike a moving magazine spread, an effect that would not look out of place on a modern tablet computer. Unlike the subsequent multi-screen sequences, the title sequence features no actual footage from the film. Not wanting to spoil the movie in its opening moments, Ferro suggested assembling the titles out of publicity stills and other behind-the-scenes photos from the production. Ferro’s innovative contributions helped elevate The Thomas Crown Affair to the iconic piece of cinema it is today. His work on the film would lead directly to another high profile collaboration with McQueen: the opening title sequence to Bullitt. 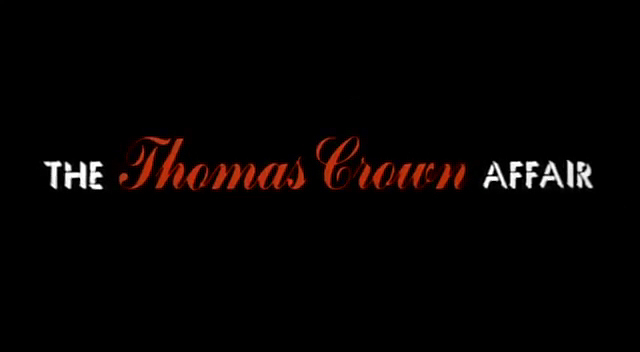 Supplementary: The Thomas Crown Affair theatrical trailer, edited by Pablo Ferro. Read more about Pablo Ferro’s work in film and beyond in Pablo Ferro: A Career Retrospective.